Zimri Hinshaw2,8,9 [Zimry Henshaw8,10, Yancy Hanshaw5]. He married Rachel Crofford8,10,14 [Rachel Rardin2,3,15, Rachel Rerdin2], Dec 2 18418,10,14, Parke County, Indiana8,10,14. 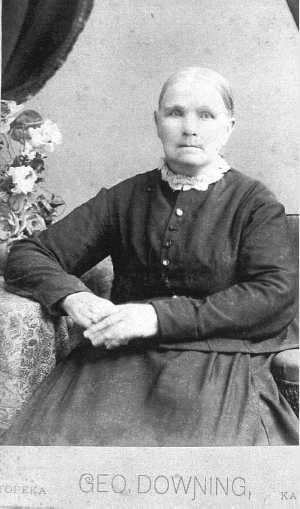 Rachel was born Dec 11 18147,11,12,16 [about 182117], Ohio7,11,12,16 [Pennsylvania3,5, Indiana17]. Zimry Hanshaw, age 29, born in Indiana; laborer. Rachael Hanshaw, age 36, born in Pennsylvania. Anna Hanshaw, age 8, born in Indiana. John Hanshaw, age 5, born in Indiana. Sirena Hanshaw [sic], female [sic], age 3, born in Indiana. William Hanshaw, age 1, born in Indiana. Mary Hanshaw, age 1 month, born in Indiana. Brother Zimri Hinshaw departed this life Sept 1st 1854. at this residence in Clay Co., died, aged 32 years and 9 months. Brother Hinshaw was born in Bartholomew Co., and emigrated from there to Parke, with his parents at the age of seven and there married in 1841, soon after which he joined the United Brethren Church and lived a worthy member of the same until his death. Though he seemed to have a lived more faithful during the last years of his life than ever before. His disease was bilious fever with which he suffered seven days. He died in the triumph of living faith. The circumstance of his death were somewhat singular and very interesting. He had a strong presentiment of his approaching dissolution, and a short time before he died, he requested someone present to pray with him, after which he immediately followed in prayer and then delivered an exhortation to those present in a remarkably clear and forcible style of an hour and a half in length, in which he spoke of his clear conviction of the truth. Morality alone is not sufficient to insurance happiness beyond the grave, and in this his dying declaration he said "I wish all my friends to distinctly understand that there is no repentance after death". Immediately after closing his exhortation he fell asleep in Jesus as calmly as an infant sinking to rest, without a struggle or a groan. He left a wife and six children with a large circle of friend to mourn their loss. But they not as those who have no hope, for their loss is his eternal gain. Where friend rejoin in Heaven. Rachel Henshaw, age 39, born in Indiana; widow; $250 real estate. Anna Henshaw, age 18, born in Indiana; occupation: "farm girl". John R. Henshaw, age 16, born in Indiana; attended school; occupation: "farm boy". Cyrenius Henshaw, age 14, born in Indiana; attended school. Jasper Henshaw, age 12, born in Indiana; attended school. Albert Henshaw, age 7, born in Indiana; attended school. Matilda Henshaw, age 9, born in Indiana; attended school. Living nearby in 1860 were Zimri's parents.22 Children Anna and Cyrenius were apparently (erroneously) enumerated twice in the 1860 census, again in the household of Zimri's parents22 (apparently Anna and Cyrenius were spending some time living with their grandparents, since their mother was widowed with six children to raise). Hinshaw, Rachel, age 55, born in Ohio; keeping house. Hinshaw, John R., age 25, born in Indiana; farmer; $2000 real estate. Hinshaw, William J., age 21, born in Indiana; works on farm. Hinshaw, Mary M., age 19, born in Indiana. Hinshaw, Albert, age 17, born in Indiana; works on farm. 1850 census, Clay County, Indiana; film M432-138, page 227a, household #84. Contribution from Robert Lloyd Hinshaw. 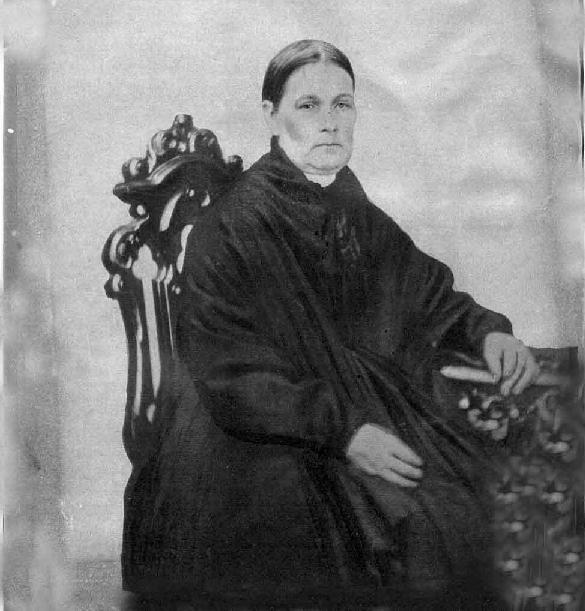 Family bible of Mary Matilda Hinshaw. Hinshaw Genealogy by Edna Harvey Joseph. Posting Feb 3 2001 by () to INCLAY-L citing: gravestone. Letter from Anna Jane Hinshaw, dated September, 1854, hand copied by her daughter, Mary Cisela Stuart. death certificate of John Hinshaw. 1870 census, Clay County, Indiana (USGenWeb Archives). 1860 census, Wrights Mills P.O., Penn Township, Park County, Indiana; page 619, line #20, dwelling #256, family #255. 1860 census, Parke County, Indiana; page 619. 1860 census, Annapolis P.O., Penn Township, Park County, Indiana; page 617, line #13, dwelling #242, family #241. 1870 census, Center Point, Sugar Ridge Township, Clay County, Indiana; page 177, line #39, dwelling #983, family #984. Photo courtesy of Robert Lloyd Hinshaw and Margie Hinshaw Walton. Photo courtesy of Sherian Kennedy () and Sharon Arndt (). Photo courtesy of Sherian Kennedy (). Scan courtesy of Joey Okamoto ().